Is she getting directions or swimming as fast as she can away from him? 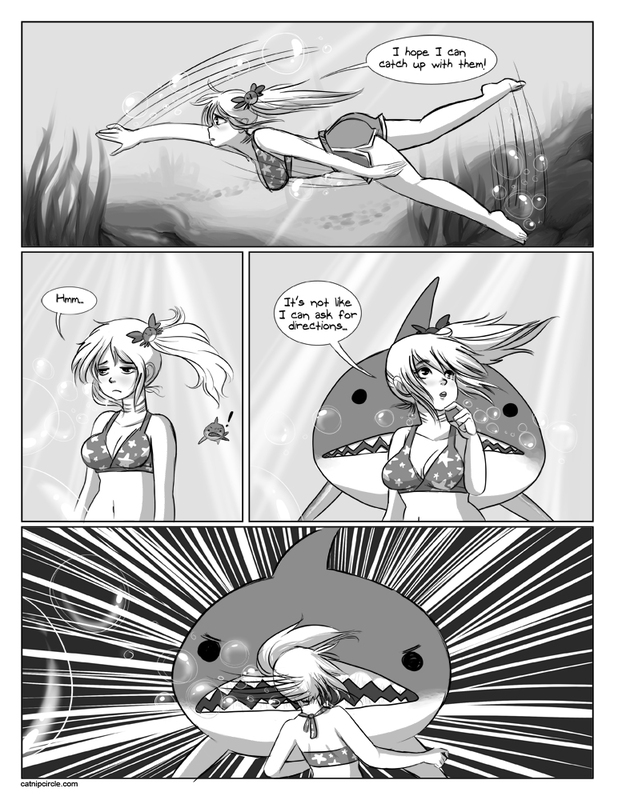 I really like how you drew her swimming! !